I don’t usually do first impression posts on gear I acquire but as this happens to be relatively new product in the market (has become available this month) I thought I’d make an exception and share some ideas about my new shelter: Hilleberg Anjan 3, a “three-season” tunnel tent from the very well-known manufacturer of traditional high quality tents. 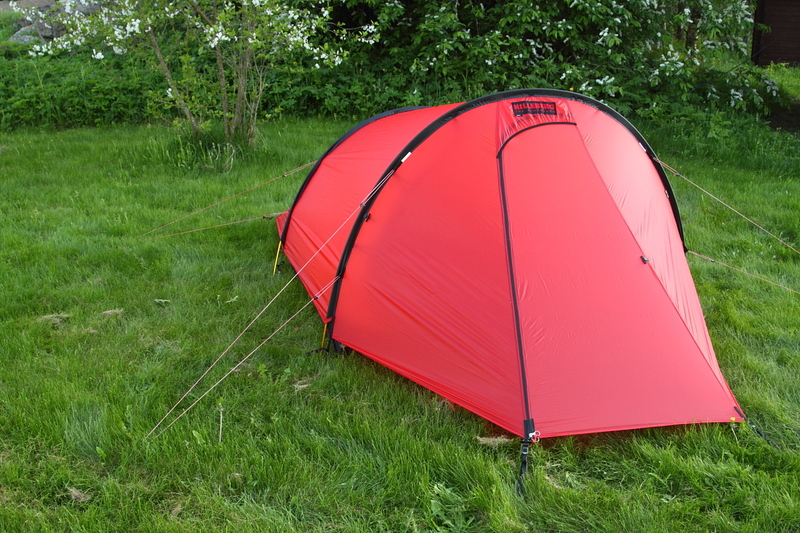 Anjan is another of Hilleberg’s new lightweight three-season tents launched in May 2012. It is available as a two-person and three-person versions. The other interesting lightweight alternative is Rogen, a two-person dome tent with two vestibules. 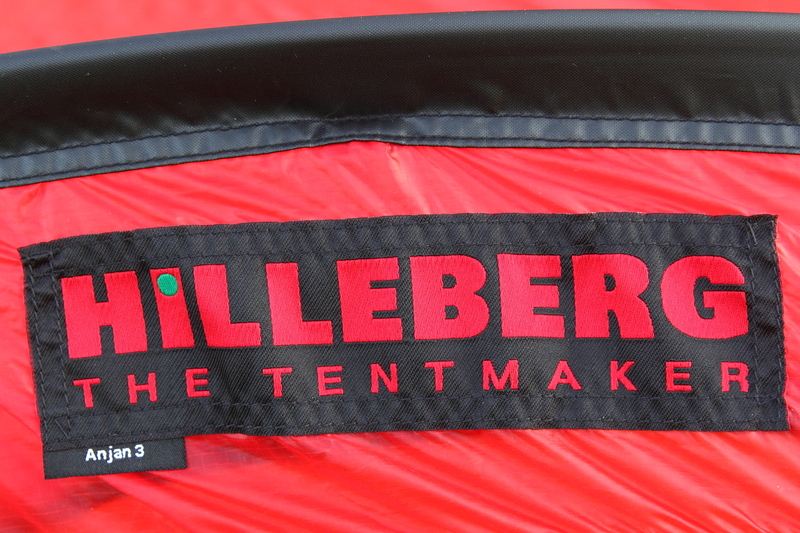 What Hilleberg means with “three season tent” is that there are large mesh panels in the inner tent and the outer tent doesn’t reach all the way tot he ground to provide protection from drifting snow. Despite being “three seasons” tents the tents use the high quality 9mm DAC poles and Hilleberg’s great Kerlon fabric (though a slightly thinner version named Kerlon 1000 meaning a minimum tear strength of 10kg). All this means that these tents are quite bomb-proof, especially in their class (lightweight two-skin shelters). And I also think that the tents could easily handle easy winter conditions on forested areas. The only real problem in winter would be keeping the drifting snow out on open mountaineous or tundra areas like. I haven’t been completely satisfied with my previous three season shelter, a Golite ShangriLa 3 with MYOG mesh inner tent and when Hilleberg came out with these new lightweight wonders I was quite tempted… and decided to pull the trigger. The Rogen was way too expensive for me, so Anjan it was. 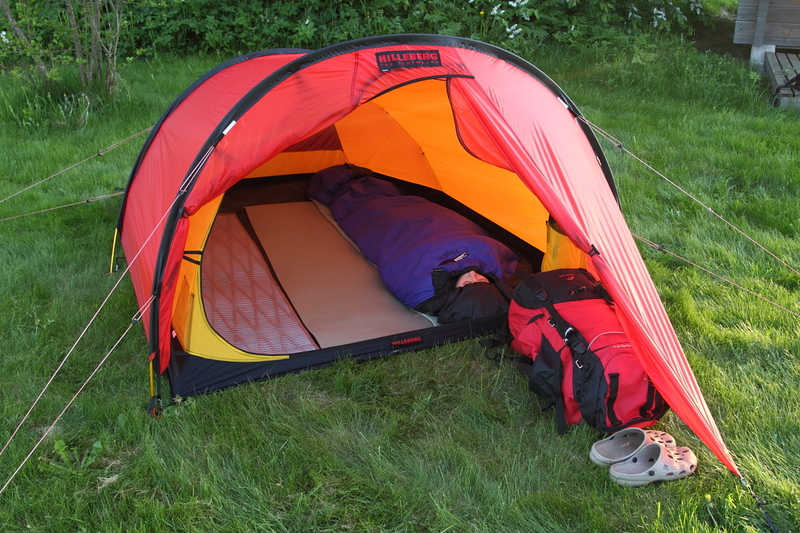 And as I do about all my trips with a partner sharing a shelter, the three-person version seemed like a better alternative: 200 grams weight penalty but a lot more room, especially headroom to sit in the inner tent protected from bugs. It would be a palace for two and could also fit three if needed. Great workmanship and nice details. Typical Hilleberg. From a distance the tent looks like a typical Hilleberg tunnel tent, though there are no vents but the ventilation is arranged by raising the outer tent generously from the ground (resulting also into a higher bathtub floor in the inner tent). It is yet to be seen how well this works. I have to say that I have my doubts but usually Hilleberg knows what they do. The zipper is simple two-way “inverted J” with a little flap protecting the top part from rain. The door can be opened to front, to the side or two thirds or the whole vestibule can be rolled away. Familiar profile to all Nallo owners. Simple zipper and no vents on the outer tent. Hilleberg Anjan 2 and 3 dimensions. Pic from http://www.hilleberg.com. As you can see from the pics below there is enough room for three and very good room for two. 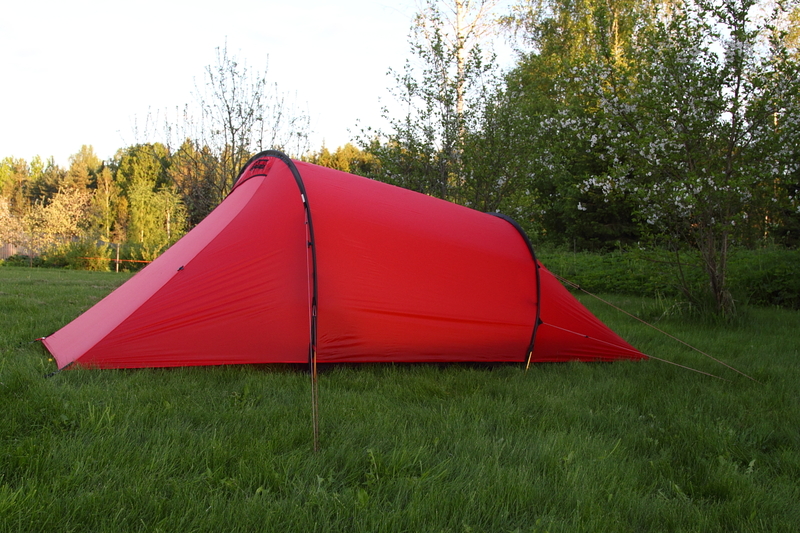 The only little problem is the foot-end fabric that eats away 10-20cm of the usable length of the inner tent. This shouldn’t cause any condensation on the sleeping bag as there is generous space between the inner and outer tent. But it’s still a little issue and I’m not too happy with it. I’ve been thinking about a way to fix if in the new Nallo (GT) tents with the zipper vent in the foot end but I have to see if I come up with a solution suitable to Anjan… The vestibule is also roomy enough to be functional: it can easily fit two traditional 60 liter rucksacks full of gear, two pairs of boots and there is still easily enough room for cooking between them. Three typical 50cm wide and about 180cm long CCF pads. The inner tent tapers a bit towards the end but not too much. Notice also the rolled away vestibule. 168cm long model sleeping in a long summer sleeping bag. The rucksack is a traditional 60 liter model. Close-up of the backpack and shoes in the vestibule. Plenty of room. As I mentioned the outer tent is raised of from the ground and should provide enough ventilation. The foot end is supposed to be pitched towards the wind and thus can reach all the way down. There is a largish panel of bug netting (really fine no-see-um mesh type fabric) in the foot end of the inner tent to provide ventilation and even larger section of mesh in the inner door. These will likely provide enough ventilation inside the inner tent assuming that the outer tent vents well enough. To enhance venting the foot end of the outer can be rolled up, as can be the vestibule. The mesh panel in the foot end and the outer tent rolled up. The foot end staked down to provide protection from elements. What is also new compared to older Hillebergs is that the pole sleeves are open from both ends and the pole ends are attached to rivets instead of plastic cups. The attaching and adjustment system is identical on both sides of the tent enabling changing the fly position to provide more protection on the wind/rain side. The attachments connect the inner and out tent enabling using either part of the tent individually. It feels like a simple and solid system. The new pole attachement system. 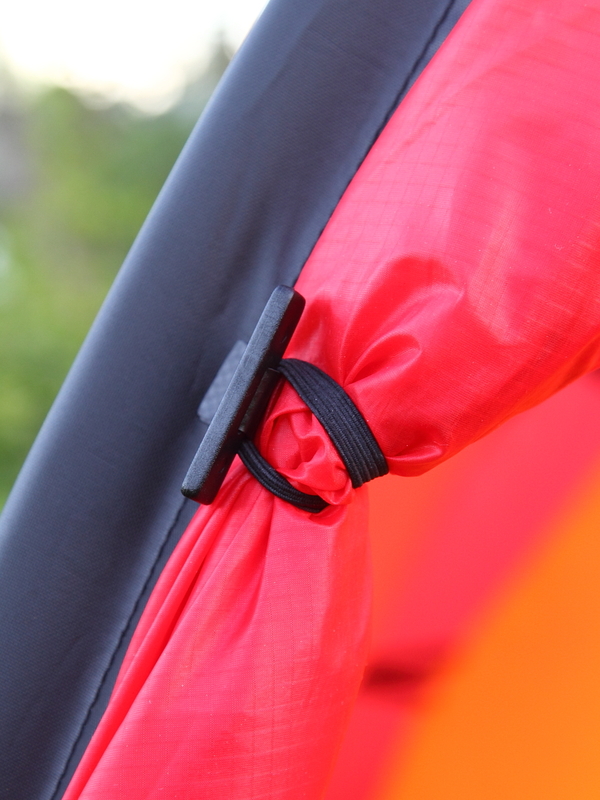 Red clip connects to the inner tent, black to the outer tent. The longer pole and sleeve are color coded with red. As the tent is not really a modular shelter system, there is not much to take away to save weight during the bug seasons. You could leave spare parts, few pegs and bags at home but that’s about it. But when the inner is not needed it could be replaced by simple polycro sheet and would result into very lightweight and roomy shelter for two or three people. New lighter pegs and the bag (a bit overkill). 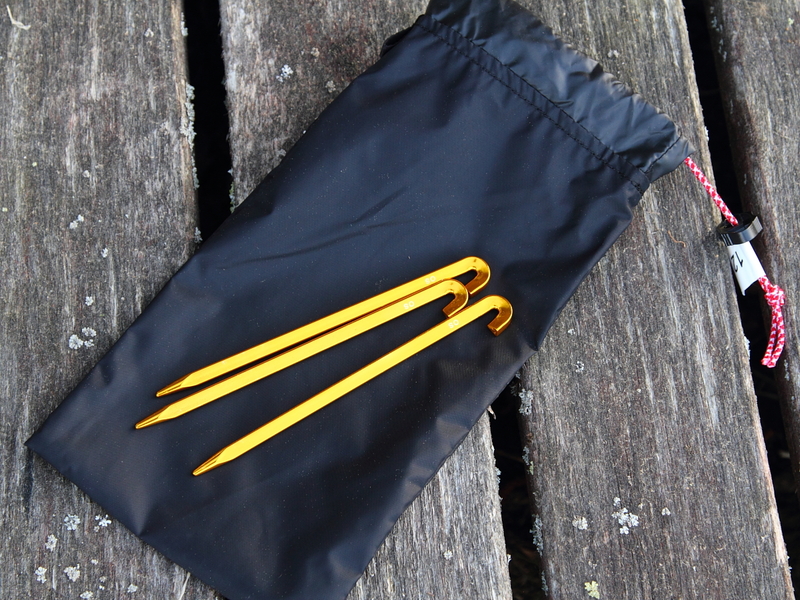 Depending on trip, I might replace few of them with sturdier Hilleberg Y-stakes for main anchor points. More to come after a season or two of use. If you have any questions or comments, feel free to comment! Looks great and should be a solid shelter since it’s a Hilleberg. I’m somewhat skeptic towards the ventilation, though. 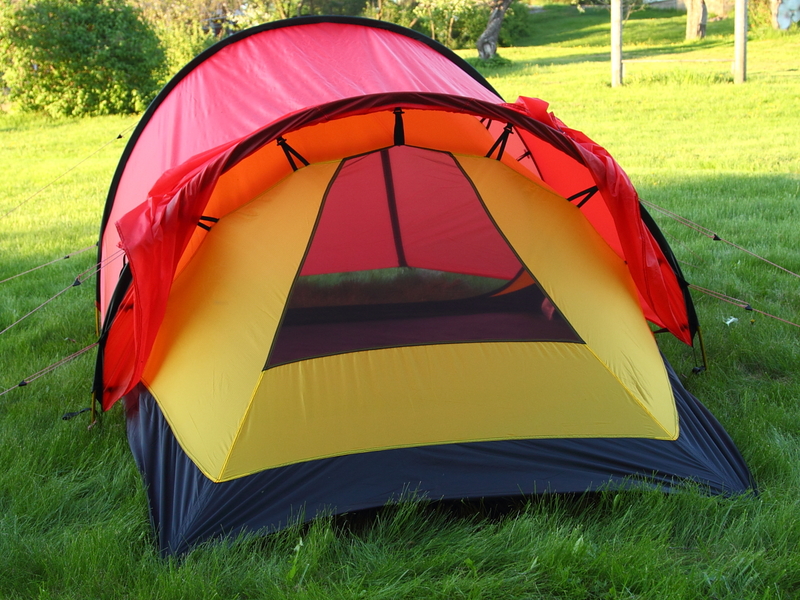 I had the old Nallo 3 with equally long tent poles and it needed a little wind for the ventilation to work, even though it had a vent on the outer tent. The poles are the same length but the outer tent doesn’t reach as low as the one in Nallo. But I guess there should be a top vent (integrated with the door zipper) to make the ventilation really work. It would be also possible to add zippered lower ventilation (similar to new Nallos) to the footend. Elsewhere you wrote that this might be the “tent to end all”. But here you also say that Rogen was too expensive, so price aside, would you consider Rogen even more likely to be the perfect solution. a) Cross ventilation on hot summer days/mornings. And it would be nice to be able to open and close the cross ventilation without gettign out from the tent as you have to do two roll up the footend of the Anjan. This looks like a truly nice tent, Oh, my! I have promised not to buy anything this year, so I will have to wait. Thanks a lot for this early review! You’re welcome Trish! More to come when I get more familiar with the tent. Good initial review, thanks for sharing. I’d like to go to tunnel tents, too (due to their larger inner space for headroom height), but haven’t done so yet. My main reason to stay with self-standing dome tents is windy conditions on islands (while kayaking), as well as installation on rocky terrains in them. Until now I’ve used Hilleberg Soulo but would like to go to new Rogen, mainly due to better ventilation (where both long sides can be opened). However, pole installation is not so easy as it is in Soulo. Price scares me, too. Another cons in dome is a small headroom space. If I’ll decide to go for a tunnel one, Anjan would be my choice, too. Would be really great to hear your feedback after some usage. I was thinking of picking up one of these this summer, but your initial review has me wondering… Although the vestibule is higher all the way around, not having a high vent, nor the zipper venting at the foot end makes me wonder if this is going to be really humid if you are camping in the rain. Yes, you can roll back the vestibule and the foot end, but you aren’t going to to do that in a downpour. 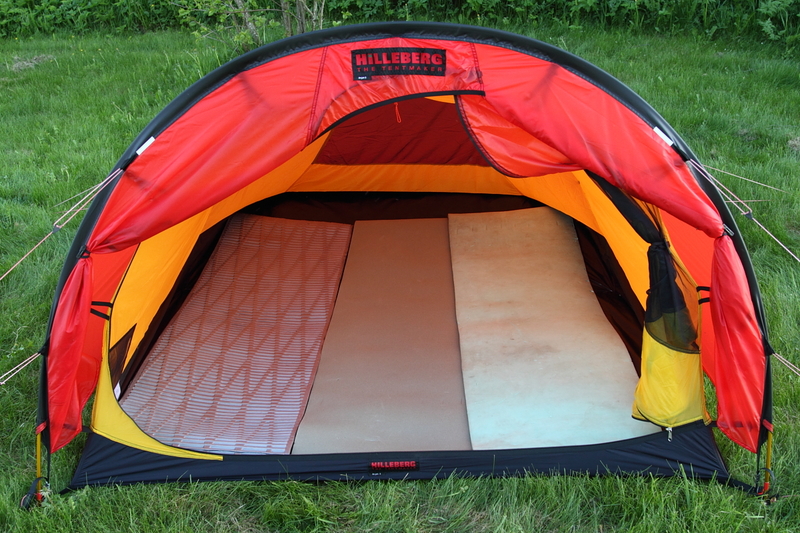 On the Hilleberg website the flysheet looks really high cut. But your model looks ideal, and the fly goes down low to the ground. Spec wise a solid, very well made tent. Seakayaking: Domes have their advantages, especially on the archipelago, but I’ve occasionally missed free-standing structure also on the fjells. At some point I’d like to try a Hilleberg dome as a winter tent (Saitaris or Saivo for two people or Allak or Jannu for one or a couple). Advin…: The venting is the big question mark. Have to see how it performs in real life. 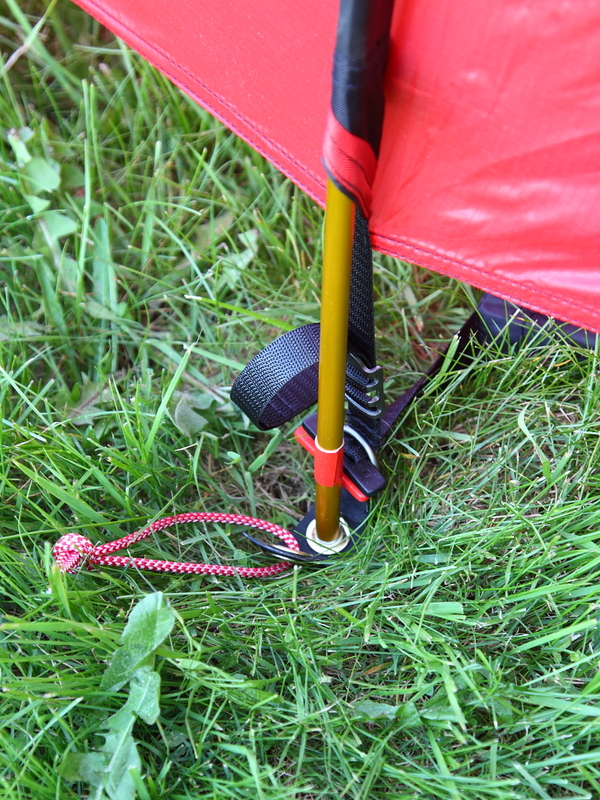 Adding a Nallo style venting zipper to the foot end wouldn’t be too hard but with that price a tent should be perfect. Martin: Yes, it looks really high cut on the website, might be that it is pulled down on the other side or then the grass on my pics bluffs a bit? But is looks good on the paper, justh ave to see how it vents in the real life. Before I unpack it: any update on ventilation? We will be also using it on the archipelago, so am a bit scared it won’t be as perfect as Rogen could have been. But the point of buying this tent was going low-weight. And for more days in a kayak we usually bring a much bigger and more comfortable tent. It is nice weight doesn’t matter so much in a kayak. 🙂 The bigger will be likely Kaitum 3 GT or perhaps Saitaris … once we recover from Onion/Anjan shopping. Just back from the hiking trip in Lapland! We (me and girlfriend) slept in the tent for eight nights and to my surprise there was no condensation problems at any point even though it was often rainy and we had wet gear inside. On the other hand, it was almost always windy which helps the ventilation. We also had the outer tent door unzipped a bit from the top if it wasn’t raining too badly. But the ventilation seem to work. It also seems that the seams on the door zipper might need some seam sealing (usually Hillebergs are fine without any) as there is no protecting flap running all the way. There’s not much water coming through but some. Interesting, so ventilation from below the outer tent was enough to keep condensation away? It needs to rain quite horizontally before you can’t unzip Hilleberg outer doors for venting, I think. – It’s designed and marketed as a 3-season shelter. In my opinion it would also work for light winter use (around the year in forested areas without high winds and on late-winter trips on open areas). The main problem is that it would be hard to seal the tent from drifting snow and even harder to keep it well ventilated at the same time. – From my limited experience the only problem in rain is the stiching on the main zipper, it has to be seam sealed. Shouldn’t be so on a tent in this price range but it’s not a deal breaker for me. Excellent update and good points of view which I did not think about. I have my heart set on anjan 2gt. What’s the splash back like? Is it West coast waterproof? Sorry Tom but could you be little more spesific? Only major issue with waterproofness I’ve had with the Anjan is with the stiching of the main zipper: it tends to leak in prolonged rain. I think it would be good idea to seal this seam if using the tent in very rainy conditions. thanks for the great review and the follow-ups. When you were making your hiking trip in Lapland in early summer, I guess it could get cold and windy, too, esp. during the “night” (pun intended). Didn´t it get a bit colder than comfortable, if you couldn´t close the moskito-net? I was happy this summer in Padjelanta (Swe) being able to close the vents at my Macpac Minaret, when it got around zero degrees Celsius and quite windy at the same time. Hi Andy and thanks for the good question. My compliments for your web site, I just discovered it be sure that I will visit regularly. I think it would be interesting to know your veredict on the Anjan after all this time, I guess you have put it thouroughly to the test by now. Somehow I thought I found the perfect tent for my needs, cycle touring worldwide in all climates but I read a few negative reviews about the Anjan letting in water through the zipper and on the sides, they say the outer fly is too short and water splashes to the inner tent wall. It is really a concern if it is nor water tight. Surele the Nallo is sturdy and water tight but I am afraid it will be an oven in hot climates. The Anjan appered as a perfect solution with a large back mesh window and the fly raised up, but letting in water in not acceptable in a tet of this price. In a Forum someone said that they had questioned Hilleberg about this issue and they has answered that they were making a longer fly to reach further down. Are you aware of any modifications? 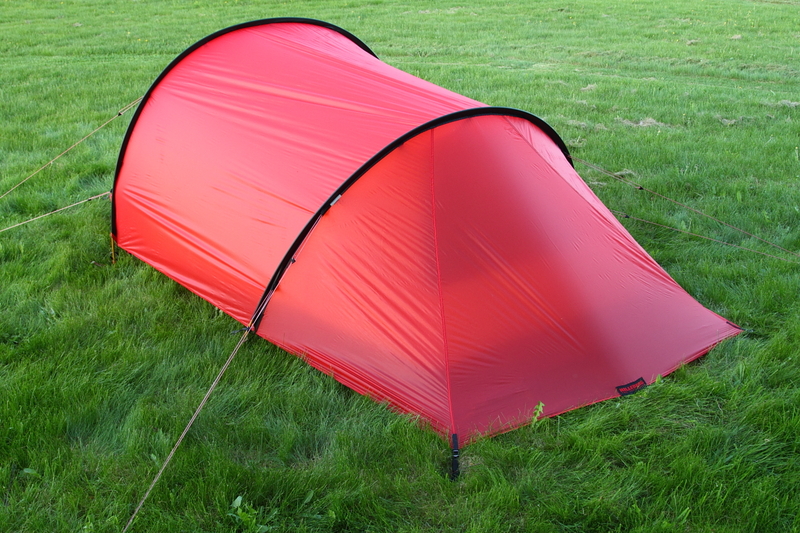 And finally, how would you rate the Tarptent Scarp 2 against the Anjan for all round use? It looks goos and versatile but maube not durable enough for cycle touring and using it for months and moths on the road. Hi Eric and thanks for the comment. Sorry for the late reply, I was skiing across Greenland and just returned some time ago. The only problem I’ve had with the Anjan is water leaking through the main zipper stiching. This should be easy to handle with some DIY seam sealing (that Hillebergs usually never require) but I haven’t done it yet. I haven’t had any problems with splashes under the fly. Those might be a concern if camping on hard surface (rock) in heavy wind driven rain but that’s not ideal place for a tunnel tent anyway. I’m not aware of the updates you mentioned and question the longer fly as it would affect the airflow and probably add condensation as there are no real vents in the tent. Generally I’ve been happy with the Anjan. Not perfect but very good. Nallo would be more versatile all-aroun tent, especially if you could swap the inners according to the climate as there is full mesh inenr available for the Nallo. The same inner should fit also Anjan but then you loose the raised bathtub which might lead to problems. Scarp 2 was my other option while choosing tent and it seems really good but I don’t have any personal experience. Thanks for the great website! You said in one of your comments that people could enjoy their trips as much or even more with cheaper gear than Anjan .Could you recommend any alternatives with similar features for it? Hi Pertti! Unfortunately I don’t have much first hand experience of cheaper options and to be precise I’m afraid you can’t get exactly the same features for lower price (if you could I would’ve done that). But I believe you can get 90% of “features” for price lower than 90% and most people do just fine with 90% of the “features”. I think Wild Coubntry tents (by Terra Nova) would offer good quality for reasonable price. They don’t use the most high-tech fabrics nor the strongest poles but should be sufficient for most. For example Hoolie 3 would offer similar room than the Anjan and for third of the price, though it also weights third more. Halti Cavity (with aluminium poles) is also used quite a lot and is very reasonably priced. One option is also going with tarp and bug net. Not as protective as tent but can be very light and cheap. Firstly, awesome review and great pictures. Really valuable for those of us considering whether to buy this tent but can’t see it before do. I have two questions. First, have you noticed any zipper issues? 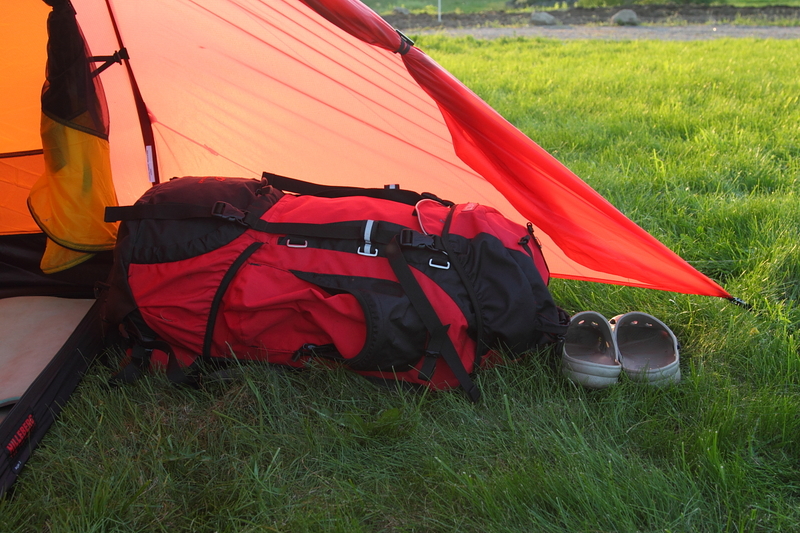 There are some reviews floating around about the lightweight zippers on these tents failing after extended use. Secondly, how tall are you. I assume you find the length to be adequate but do you think it would be an issue for someone around 190cm? Actually I thought of a third question! It seems your pitch is very low to the ground as others have said. Have you discovered if it’s possible to vary the pitch height of the fly so you can increase/decrease air flow? Hi Jeremy! Nice that you found the review helpfull. – I haven’t noticed any zipper issues and I think the zippers in this tent are same than other Hilleberg models (Kaitum and Keron for example). Naturally all zippers have limited lifetime but I haven’t noticed it beign especially short. Extented use in very sandy places will of course also shorten the lifespan. Hilleberg also does repairs if/when the zipper breaks. – I’m 186cm and use “long” sleeping bags and the tent is somewhat on the limit with the footend of the sleepign bag touching the inner but this hasn’t been a problem. You can raise the footend of the inner tent by stuffing gear in the corners. I do this sometimes if I assume lots of condensation or other issues. – You can shift the outher from side to side sliding it on the poles. THis way you can have more protection on one side and more gap on the other. Usually I use symmetrical setting. The footend of the outer can be either pegged to the ground (corners and middle point) or lifted with a branch, rock or similar to aid ventilation. And of course you can also roll the footend up to the rear pole for even better ventilation. I am very interested in the anjan for bicycle tours . I bought the Keron 3GT (a bit overkill for Australia ) however I go to NZ and it’s perfect. If the anjan is as good as a 3 season tent as the Keron a 4season I will be more than happy . Hi John, Having used both of those tents for years, I’d say yes: Anjan is great for use when drifting snow (or really cold winds) are not problems. In the Nordic countries that means any 3-season use and limited winter use (protected forested areas).